Per Kirkeby is a painter, a poet, and a maker of cosmogonic maps. His layers crash, collide, and build while underlying structures hold the pieces together. Herbstbaum III (1985) has two steles holding court in a mystical forest by a river. A few marks suggest spacious surroundings outside the picture frame. A yellow totem attempts to stand erect while tipping off of its pedestal. An unflappable partner stands solid in spackled strokes of brilliant light blue. 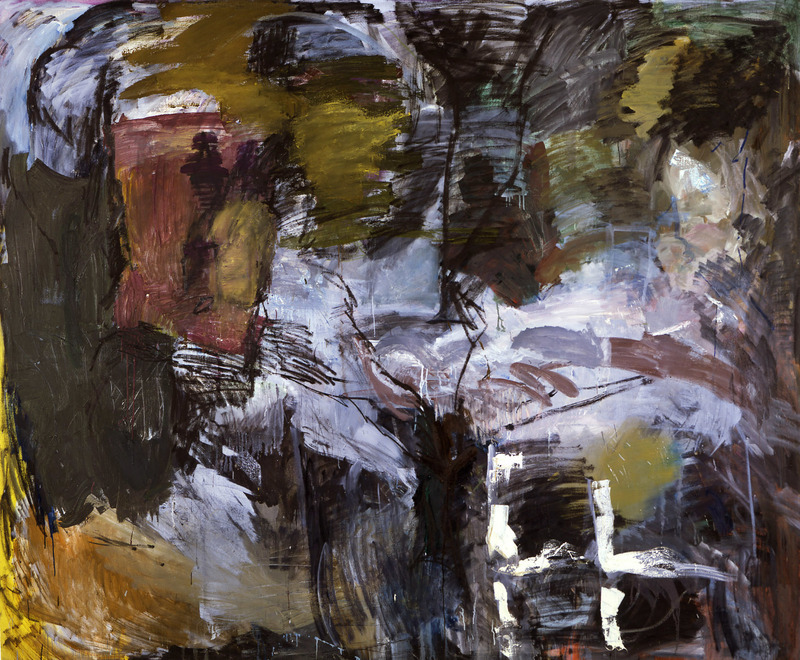 In Untitled (1981), a landscape becomes a world, and the world becomes a language of mystery. Charcoal marks render the construction, then falter, losing their momentum. Scratches of deep blues mingle with green-blue blacks, while a pinkish gray creates a dim, diffused light that recalls Edvard Munch and the artists of Denmark's Golden Age. Referring an earlier career in geology, Kirkeby uses his knowledge of sedimentation and stratification to forage for an inner truth, taking clues from the outside world.